Further to my mention of the boat Sectan yesterday. 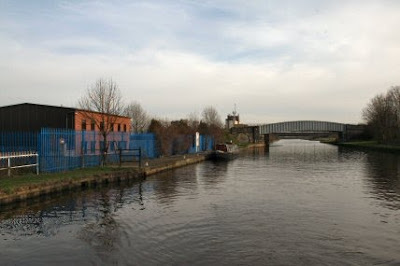 Julia on nb Poppy contacted me concerning SecTan and gave me a link to the Canal World Discussion site so if you would like to know more try http://tinyurl.com/yhw4rdu but the condensed version is below. 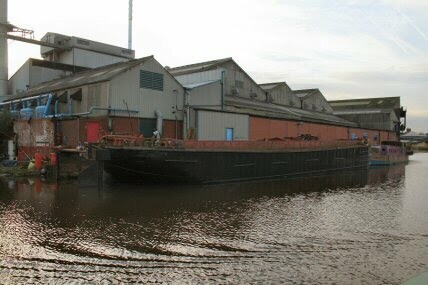 In 1971 Hodgson's of Beverley (had 17 boats) sold their Sheffield size keel fleet to Waddingtons. (It is well worth a look at the Waddingtons moorings at Swinton where there are a lot of boats - some with lovely old lines) it would seem that the "***tan" keels were built for Hodgson's, by Hepworths, of Paull, in 1950. Most of the others were bought second hand but their first new build, in 1940, was "Richard" (presumably named after Richard Hodgson but I have no evidence of that), built as a dumb barge, by Dunstons of Thorne, in 1940 and motorised in 1943. Dritan----could be at Brixham ?? 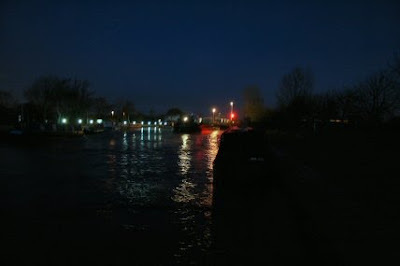 I was awoken this morning at 0600 by the boat bumping on the jetty. No wind and nothing in sight. 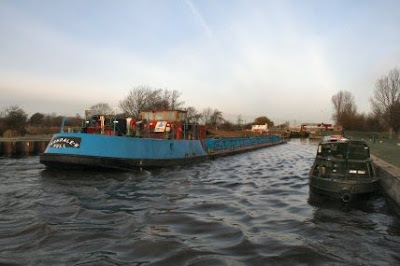 Half an hour later the fully loaded tanker Rix Owl turned up and entered the lock. Twenty minutes later we were still bouncing about as the wake caught up with us. Later in the morning the Ferndale II went through loaded with gravel. There is still some commercial craft about. It would be nice to see more even if they do move a lot of water about as they pass. 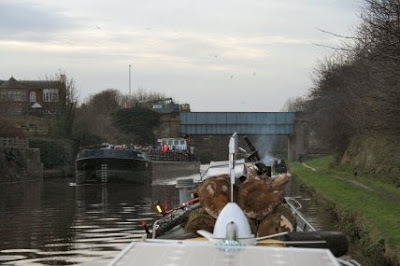 Soon a boat we saw down at Whitley Phase III came up with a barge full of spoil. This was Alan a Dale. Some one had a thing for Robin Hood it seems. A second boat I noticed at Whitley was Bartholomew. I can't remember what part he took in Robins band :-) It was quickly back going in the other direction with an empty. The dumping site was just above the lock. We were going to stop at Low Eggborough on the Jolly Fisherman mooring but decided that as it was such a nice day we would press on. Rain tomorrow according to the forecast. As we talked about what to do Barnaby turned up. They had come up from Thorne today and had followed a commercial that had had things opened up ready for them. 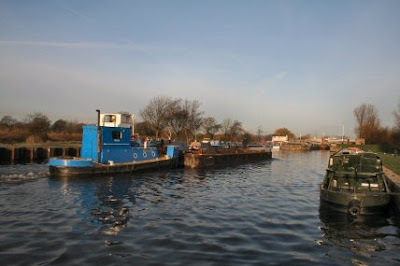 As we reached Knottingley and rounded the bend there were more signs of the old canal life with a couple of moored aged barges at the boatyard. The time you don't want to meet a large boat is at a bridge next to a bend. Where did we meet Rix Owl coming back. Just as it came round a bend. We saw him a long time before he could see us. 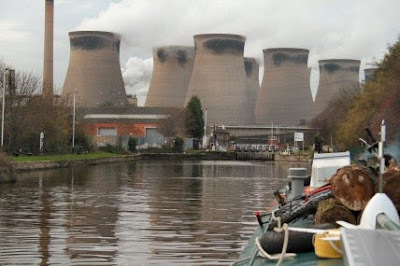 Ferrybridge C power station looms a bit over the flood lock. The red light is flashing and here we stay for the night. A cold but very nice day for the trip up here. Tomorrow we will pick up some solid fuel. Must keep the home fires burning. The Jolly Miller really is! Ready for the return with only one day to go! !